Typically, monuments are built to commemorate a major event, to celebrate a famous life, or heroic deed, but some monuments capture the imagination because they are just downright bizarre. Whether they are created to provoke, to stun, to entertain, or to make a statement, each one tells a story. Sometimes the best way to get to know a place is through its oddities, so if you want to visit something out of the ordinary on your next holiday here are some of the world’s strangest monuments. If you’re going to stay in a Caribbean villa, then you can’t miss visiting the Underwater Gallery in the shallow waters off the coast of Grenada. The silent gallery is a series of sculptures that were erected to promote conservation awareness and serve as an artificial reef. Created by sculptor Jason de Caires Taylor, the unusual sculptures are only accessible by scuba divers, or through a glass-bottom boat. The statue of Saint Wenceslas is located in Prague and depicts the saint sitting astride a horse that has been hung upside down by the legs from a beam. The statue is the work of Czech sculptor David Černý and was created as a parody of the original Saint Wenceslas monument in Wenceslas Square. It’s loved by Czechs and tourists alike and is probably more famous than the original statue. This monument has been giving little children nightmares since 1546. Nobody really knows why the statue was erected, but there are plenty of legends surrounding the meaning of the cannibalistic statue. The Child Eater statue is stuffing a baby into its mouth while three other babies look on in horror, awaiting their fate. 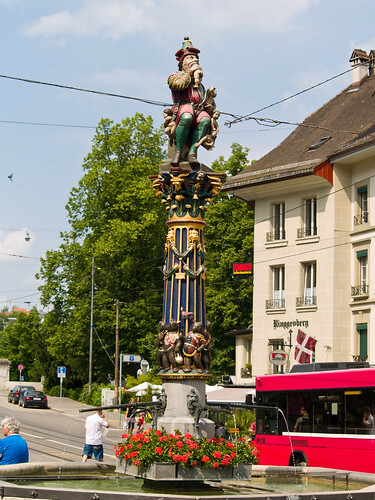 If you’re staying in a Bern holiday rental you can’t miss taking a snap of this odd monument. The Georgia Guidestones consist of five 16-foot-tall granite slabs that have been arranged in a star-shaped pattern. The monument functions as a compass, calendar, and clock, but what makes it so bizarre is that was it was commissioned by an anonymous group as a set of directions for rebuilding civilization after the apocalypse. Alexandru Ghilduş couldn’t have designed a more abstract or ugly monument than the Memorial of Rebirth, which is located in Romania’s capital Bucharest. The monument is of a woven basket crown being skewered by a pointed marble pillar. It was unveiled in 2005 and is meant to commemorate the overthrow of Communist dictator Nicolae Ceauşescu in 1989, but it hasn’t proved to be very popular with the locals. 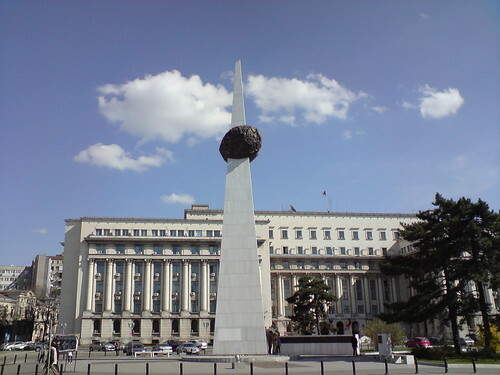 Romanians have given the strange looking monument nicknames like “potato on a stick” and “donut on a spike”. Charge your camera batteries before visiting these unconventional monuments because your photographic evidence will be talked about for years to come. Fascinating article. The last one is rather funny.